Police yesterday were trying to ascertain who within this courthouse authorised a release warrant – complete with the Court Clerk’s stamp and an authorised signature – which was given to two police officers who then went to the Women’s Prison to procure Boodram on Monday afternoon, to attend ‘night court’. 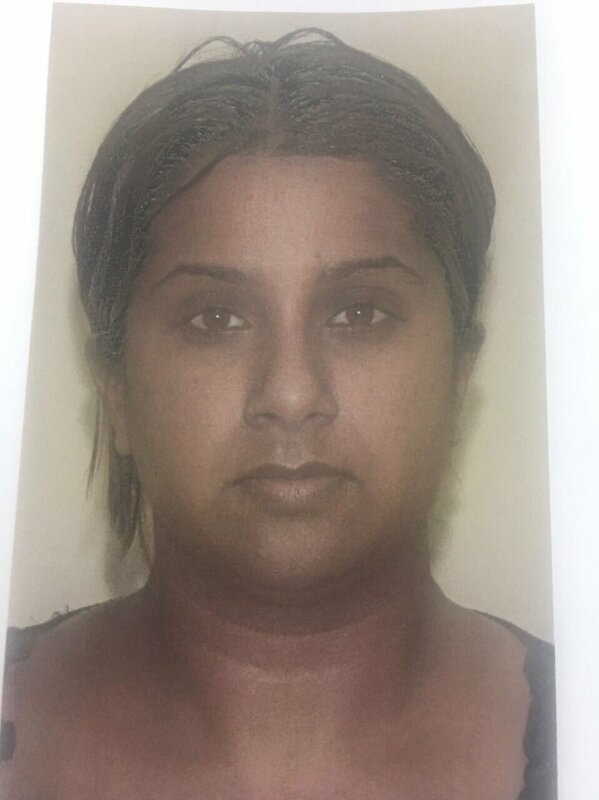 The Cyber Crime Unit is also trying to trace the identity of a man who telephoned the Women’s Prison yesterday telling prison officers that Boodram had received bail for all of her cases and would not be returning to the prison. Boodram remained at large up to press time. She is facing 148 fraud charges. A travel agent who lived in Siparia, Boodram was arrested in 2016 by the Fraud Squad and charged with offences including money-laundering, uttering forged documents and larceny by trick, all allegedly committed between 2014 and 2015. At 2 am yesterday, a policeman was arrested at his Arima home and taken to the Professional Standards Bureau (PSB) office in Port of Spain. Hours later, a policewoman assigned to the Crime Patrol Unit, went to the PSB on learning that police wanted to speak with her. Both told investigators they took custody of Boodram on the instruction of a senior police officer. The two said they were given the release warrant (an official document issued by the courts) which they showed to prison officials to effect Boodram’s release from the prison. Pressed for the name of the person at the courthouse who took Boodram from them, both police officers said they would not cooperate further without their attorneys being present. They told investigators that they left the Tunapuna police station shortly after 4.20 pm and went to the Golden Grove Prison. Yesterday, Prisons Commissioner Gerard Wilson told Newsday a report will be forwarded to Minister of National Security Edmund Dillon. Wilson said the Prison Service responded to an instruction given by the courts. He said that PSB investigators visited the Women’s Prison and interviewed several prison officers and also asked for documents including the release warrant (also known as a remand warrant) which authorised Boodram’s leave from the prison. He confirmed that the warrant contained an instruction for Boodram to be present at “evening/night court” in Tunapuna. Commissioner Wilson said alarm bells rang in his mind when someone called the prison Tuesday morning to indicate that Boodram received bail for all of her 148 cases and she would not be returning to the prison. He immediately alerted the police. Wilson said he has ordered an internal investigation which is separate from the police’s probe. “I have to review how business is done between the police and prisons. I am saying that in these instances, we must revisit how things are done. It cannot be business as usual,” Commissioner Wilson said. The Prison Service issued a press release yesterday saying: “The public is hereby advised that the Prisons Administration acknowledges the release of remanded inmate, Vicky Boodram, who was housed at the Women’s Prison on fraud charges. “On November 28, 2017 at around 5.15 pm Ms Boodram was legitimately handed over to WPC Navarro and PC Sylvester, after they presented a court note from the Tunapuna Magistrates Court, ordering her appearance. While the practice is infrequent, it is not illegal as the prisons merely house remanded prisoners for the courts. Blackman said enquiries would have to be made with the Clerk of the Peace at the Tunapuna courthouse and the Office of the Chief Magistrate. Reply to "TRAIL LEADS TO COURT"